I feel I should mention how “adventure” and “action” are different from each other. They’re like siblings, and a pair who get along very well together, but not quite identical. If had to summarize in a single sentence: violence in an adventurous tale is more a lurking threat than a constant, imminent danger, and often far less graphic. Which is a rather strange thing to say, as I think about it. As one person put it, when asked about how thrilling such a tale is, they answered, “Are you kidding? Fencing! Fighting! Torture! Revenge! Giants! Monsters! Chases! Escapes! True love! Miracles!” Eight out of ten attributes can be related to violence, eh? The story features the return of lost love, kidnap and betrayal, trials of body and mind, a quest for revenge, and more. Yet it’s told so simply. In fact, this movie is my favorite example of simplicity’s potency. Fairy simple sets and special effects. Simple story, yet with multiple, interweaving plots. Simple characters we can relate to and either admire or despise. There are comparatively few extras, and, for that matter, few characters we ever know the names of. Most of all, the soundtrack is simple, yet perfect. We don’t need a soundtrack to compete with Lord of the Rings, Narnia, Star Wars, and the Marvel Cinematic Universe. All we need is something to set the mood, help us feel the emotions of the characters. That, they deliver. Soft and sweet for true love. Pounding for a vengeful pursuit. Calm for a simple friendship. Quick and cutting for a sword fight. 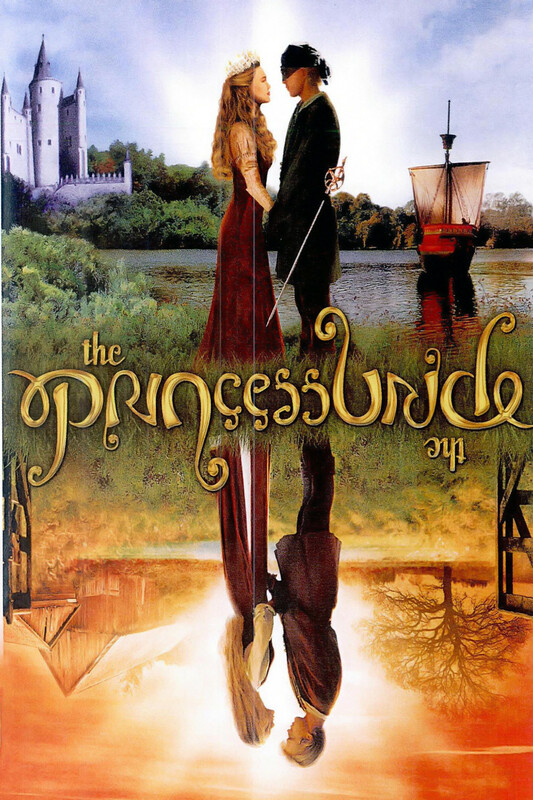 I only read the book this movei was based on when I was in college, and I can say that it was enjoyable, but entirely different from the film. 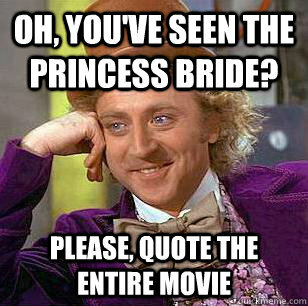 It was a masterful adapting of a novel into a movie, I believe. They managed to cut out and alter precisely what they needed to in order to tell the story, making us laugh, cry, and cheer the whole way through. 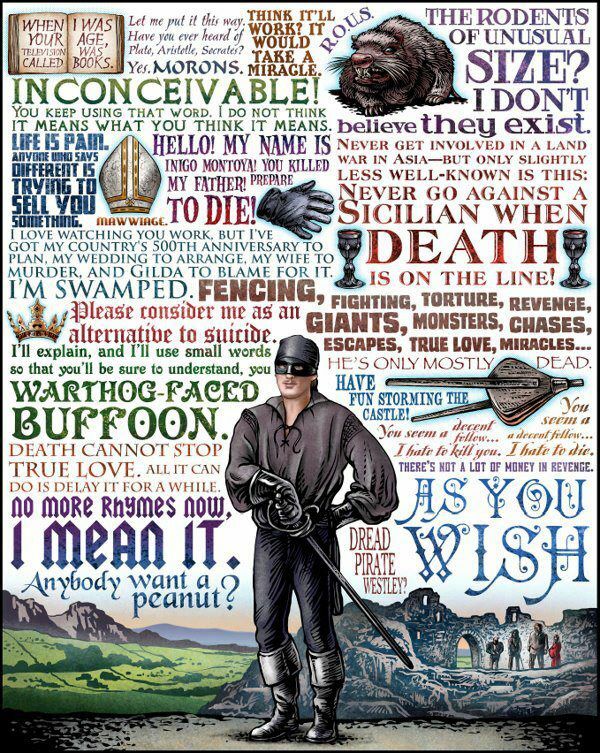 This entry was posted in Favorites, Top Picks and tagged Princess Bride, The Princess Bride. Bookmark the permalink.